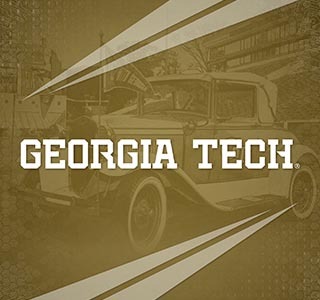 These words come to mind when you think of Georgia Tech Athletics and our historic program in the heart of Atlanta. 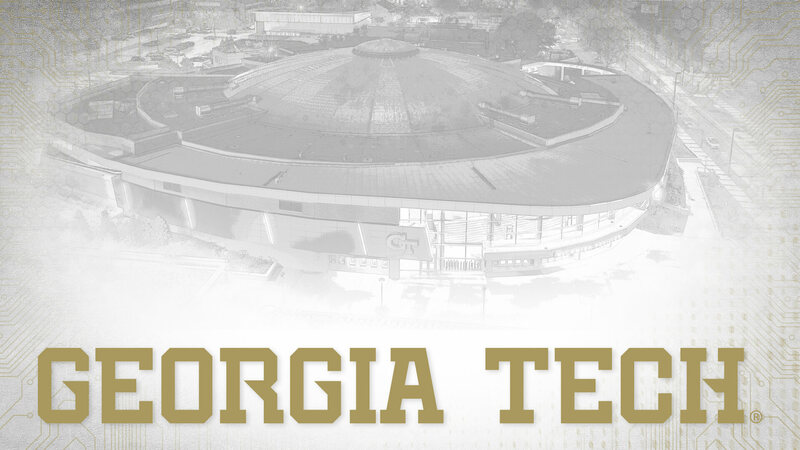 Now it’s time to write the next chapter in our storied history as we focus on what makes Georgia Tech the most unique college athletics program in the nation. 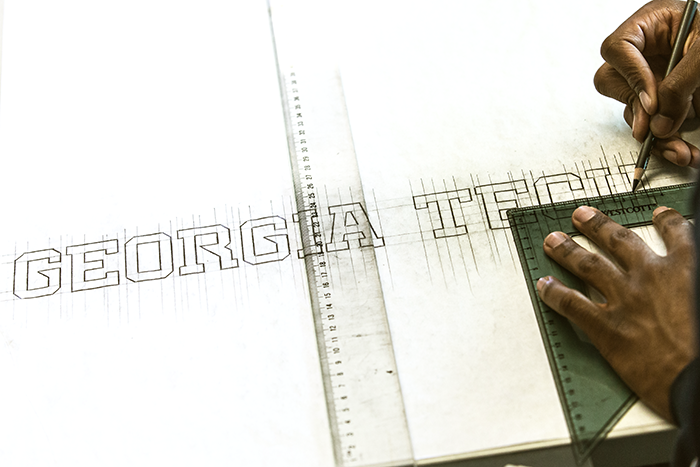 From defining our colors to the introduction of a new mark, we’re celebrating our past while looking toward the future. 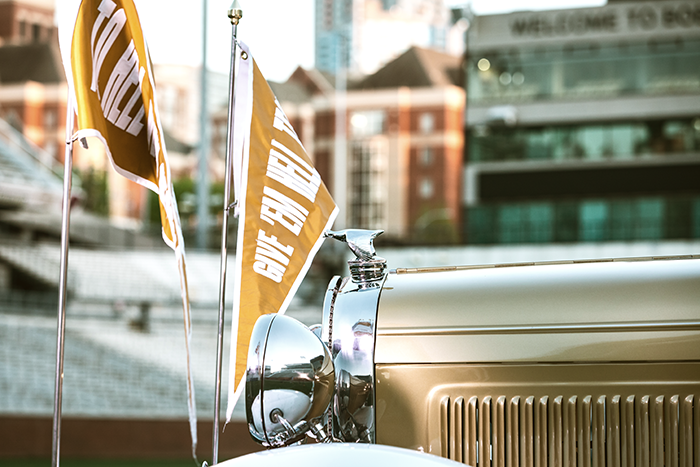 Our tradition defines us, but tomorrow is ours for the taking. 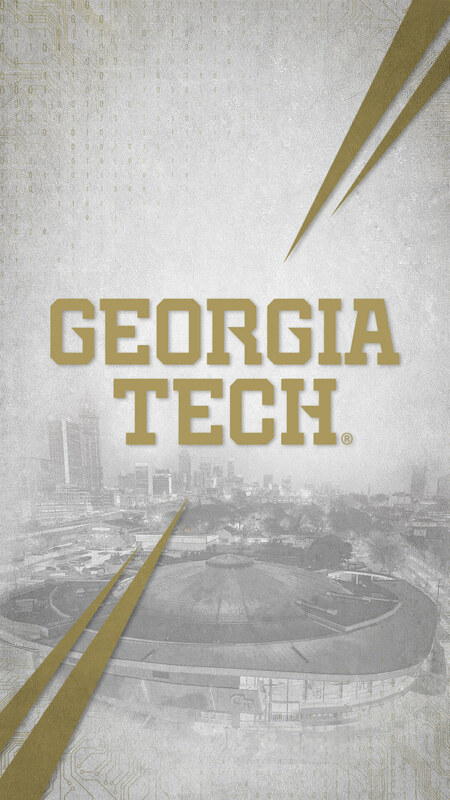 This is Georgia Tech. 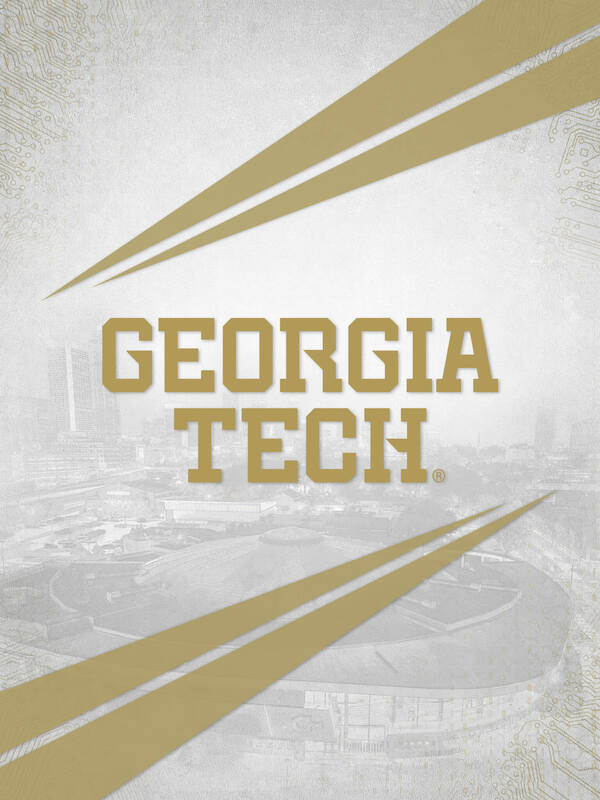 White & gold - the two colors that define us at Georgia Tech. 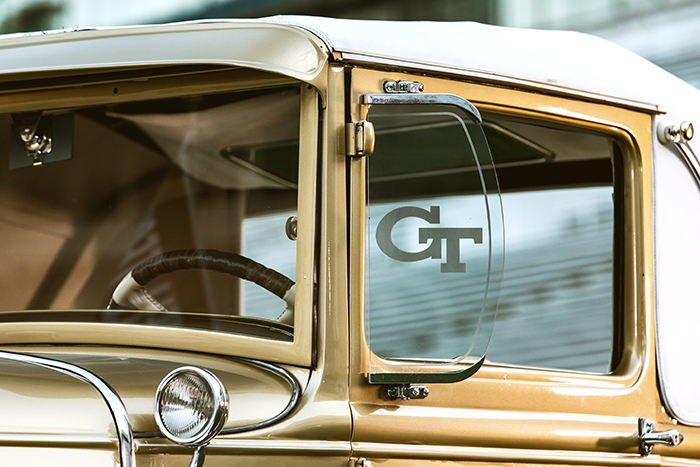 Since the first mention of official colors back in April of 1891 to the storied tradition of the Ramblin’ Wreck, white & gold are in our blood. 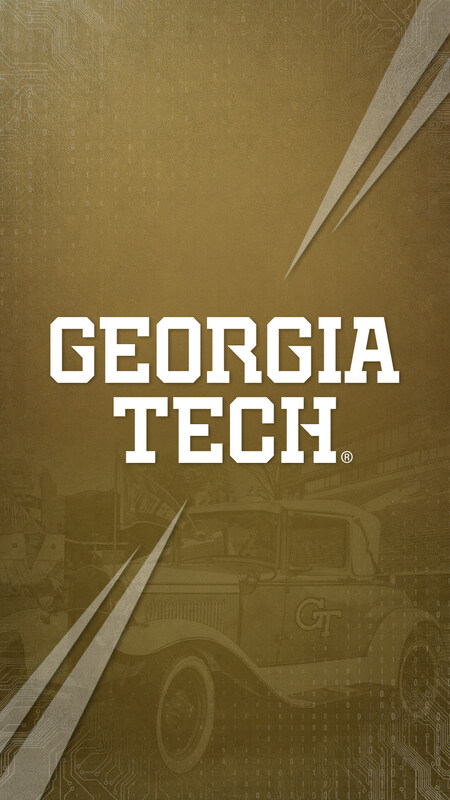 A complementary color of navy blue, rooted deep in the history of Georgia Tech, rounds out the palette. 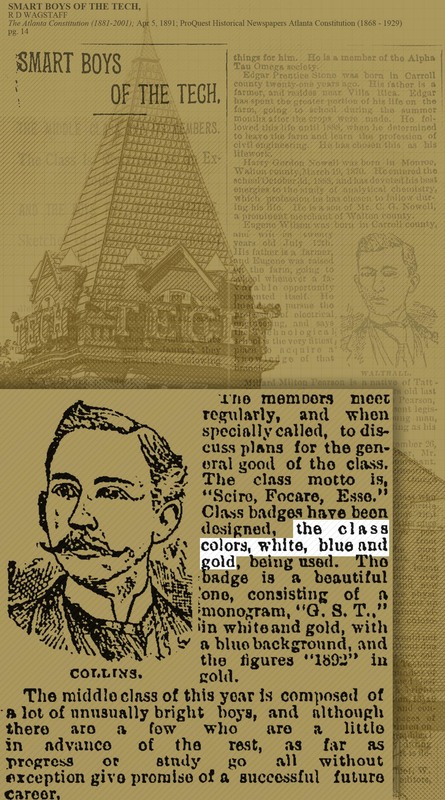 The Atlanta Constitution article above from April 5, 1891 is the first known reference of school colors - white, blue and gold. 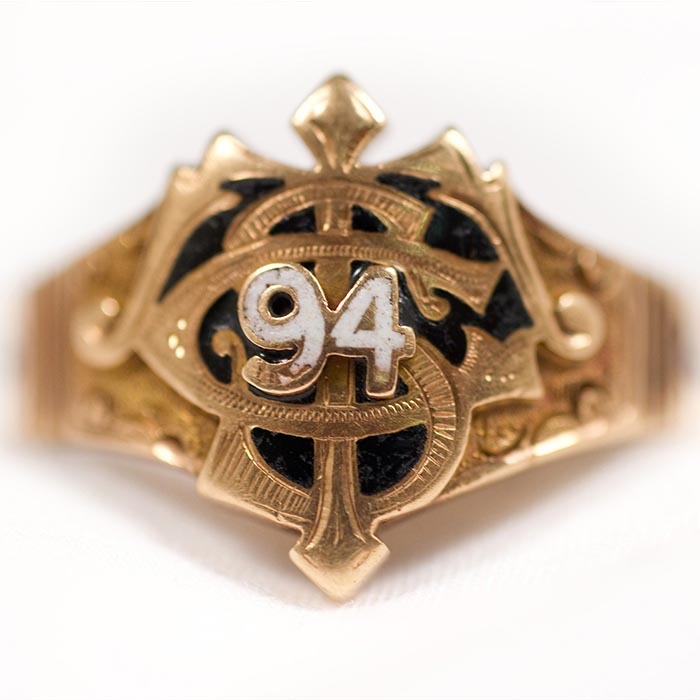 The earliest known class ring from Tech - bears the seal of the Georgia School of Technology, the original name of Georgia Tech and features the three official colors - white, blue and gold. 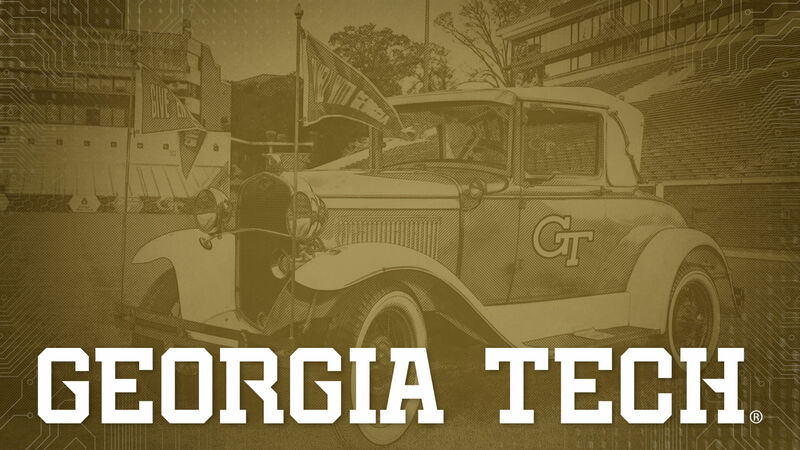 The new Tech Gold is based on the paint scheme of the Ramblin’ Wreck. 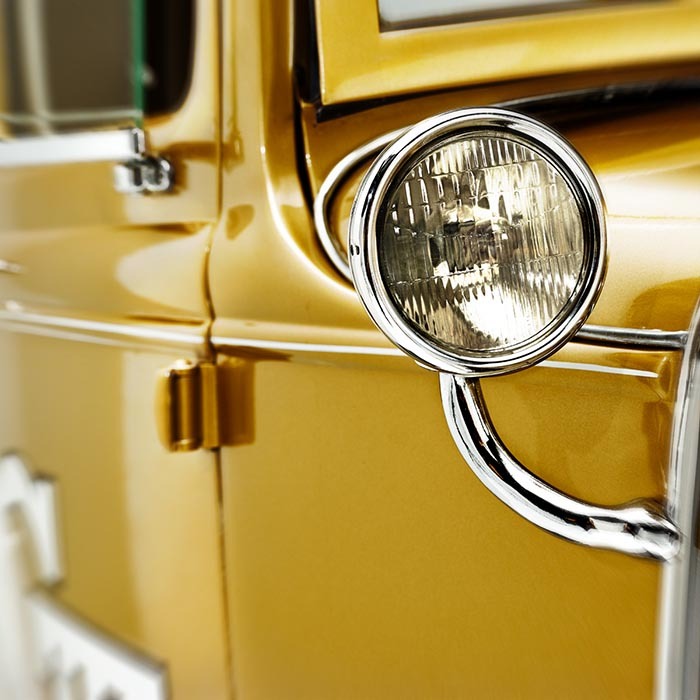 Represented through a nonmetallic and a metallic color blend - Tech Gold maintains consistency. 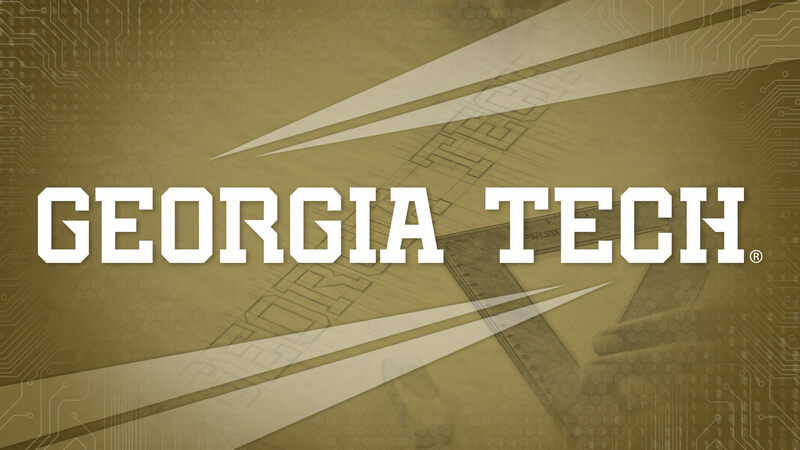 The iconic Tech Tower letters, the tradition of Georgia Tech and the innovation of our institute inspired a sharp, bold mark that both celebrates our history and points us to the future. 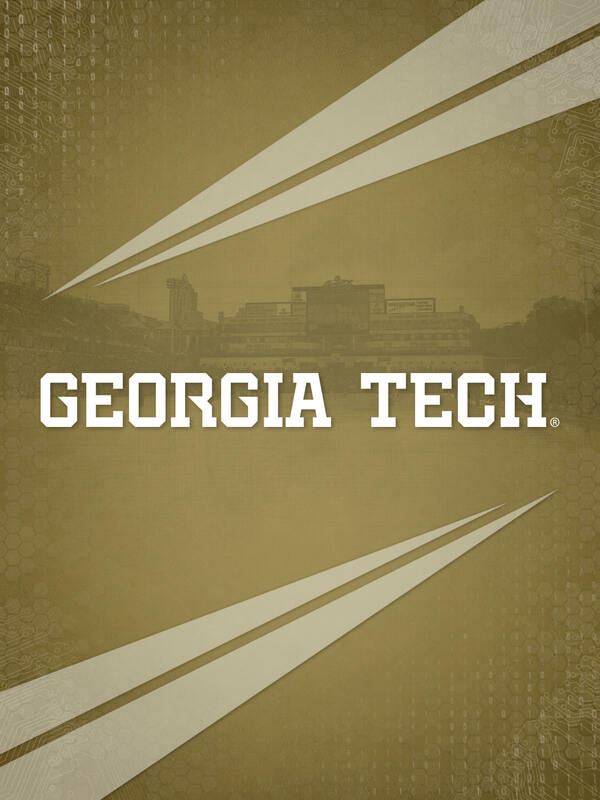 Whether you are a recruit, an alum, a fan or a student, this is the mark that defines Georgia Tech Athletics and who we are - adorned on our fields, our courts and our uniforms. 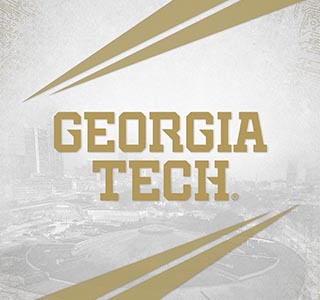 A Georgia Tech athletics wordmark has never officially existed. 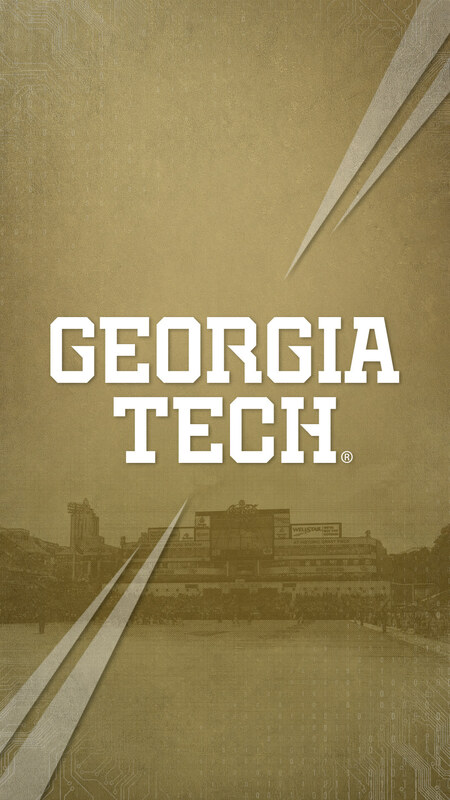 This mark will consistently represent Georgia Tech on our fields, courts and uniforms. 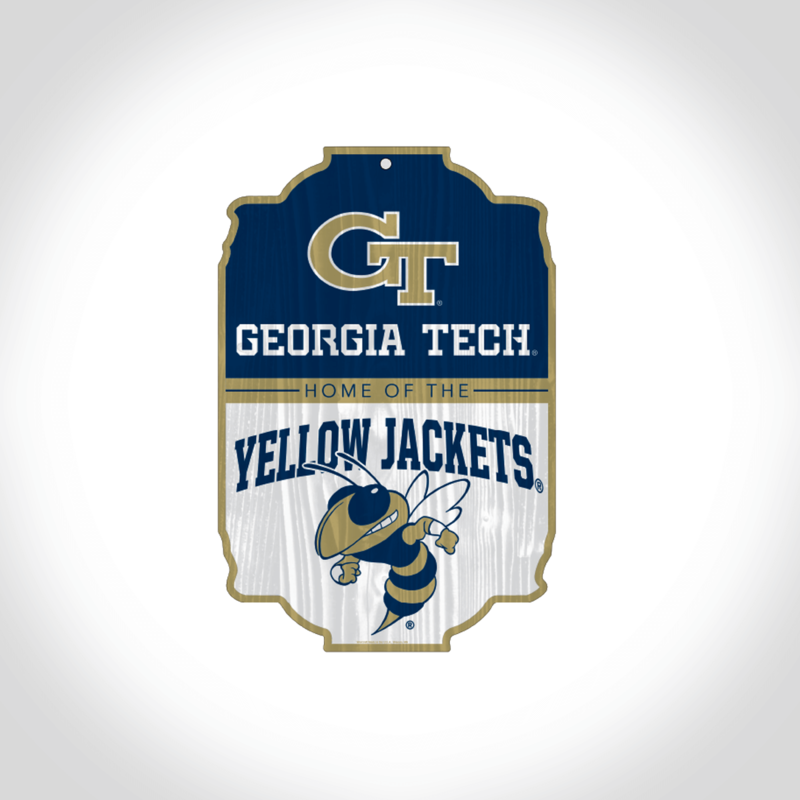 Created through a partnership between Georgia Tech Athletics and IMG College Licensing, this mark pays tribute to the history of the Institute and looks toward the future. 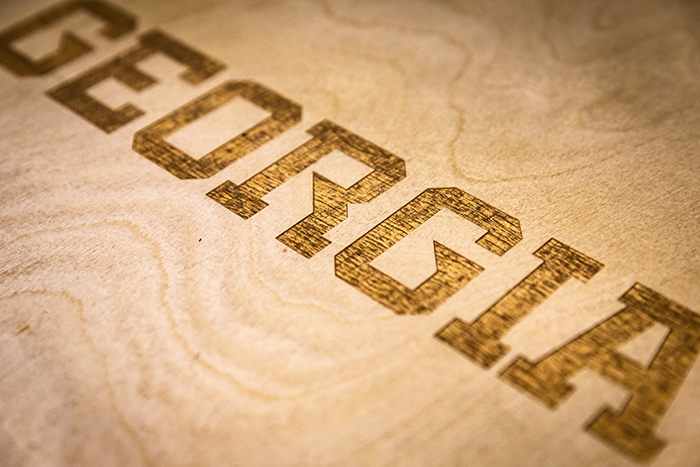 The mark bridges the tradition of Georgia Tech with the innovation of the Institute. 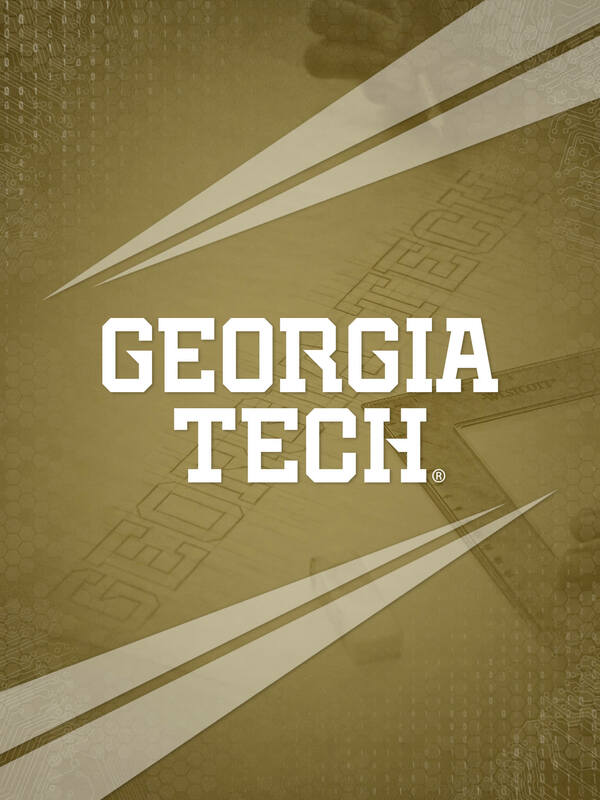 You’ll see the traditional “T” taken straight from Tech Tower - as well as modern elements in the G, R and H.
Where will this mark appear? 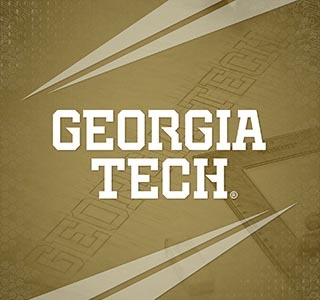 The new mark will be in the endzones of Grant Field, the baselines of McCamish Pavilion and in other areas where the words “Georgia Tech” are represented across Athletics. 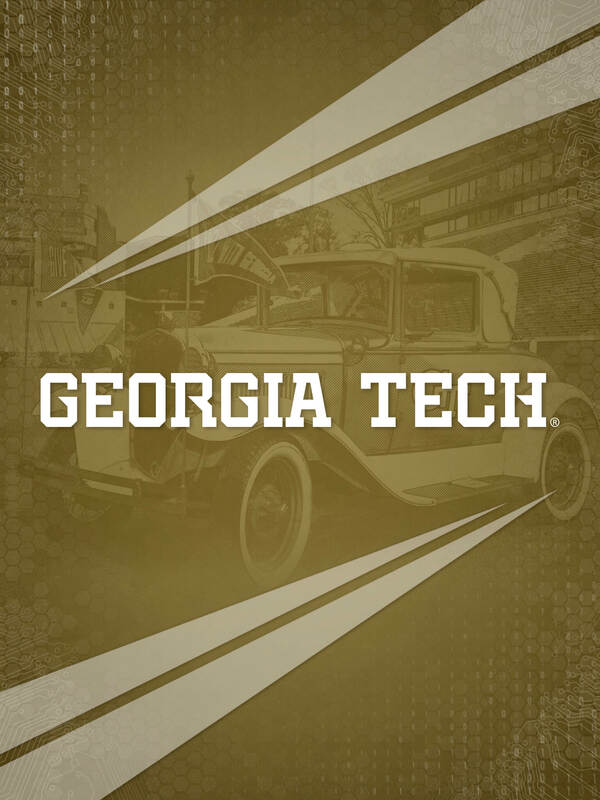 As the official logo and the most recognized mark for Georgia Tech Athletics, the interlocking GT will now only be displayed with our primary colors on the inside: white and gold. A blue accent outline can help define the logo on light-colored or gold backgrounds while maintaining the integrity of the mark. 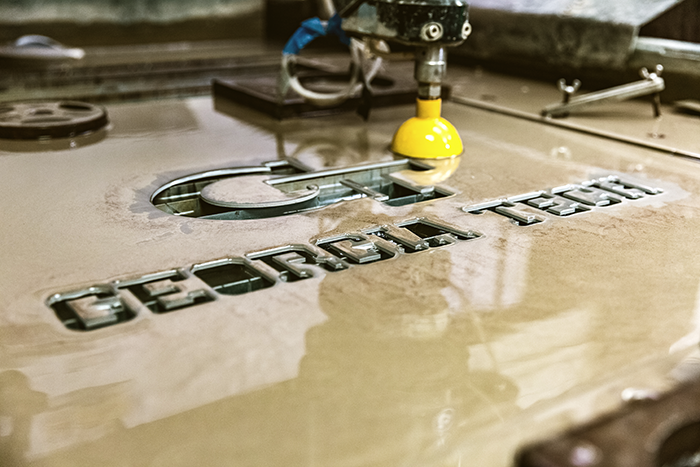 Within Athletics, the available options to display the interlocking GT have gone from 40 to just eight. 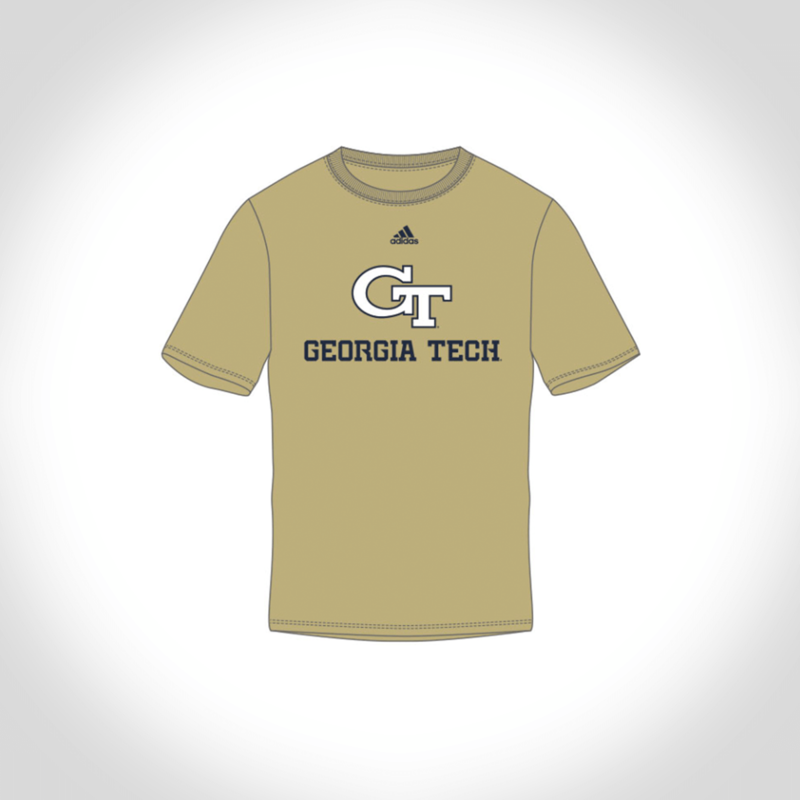 With the introduction of Tech Gold, every Georgia Tech Football season-ticket holder will receive an adidas® Tech Gold performance t-shirt (one per season ticket purchased) in 2018. 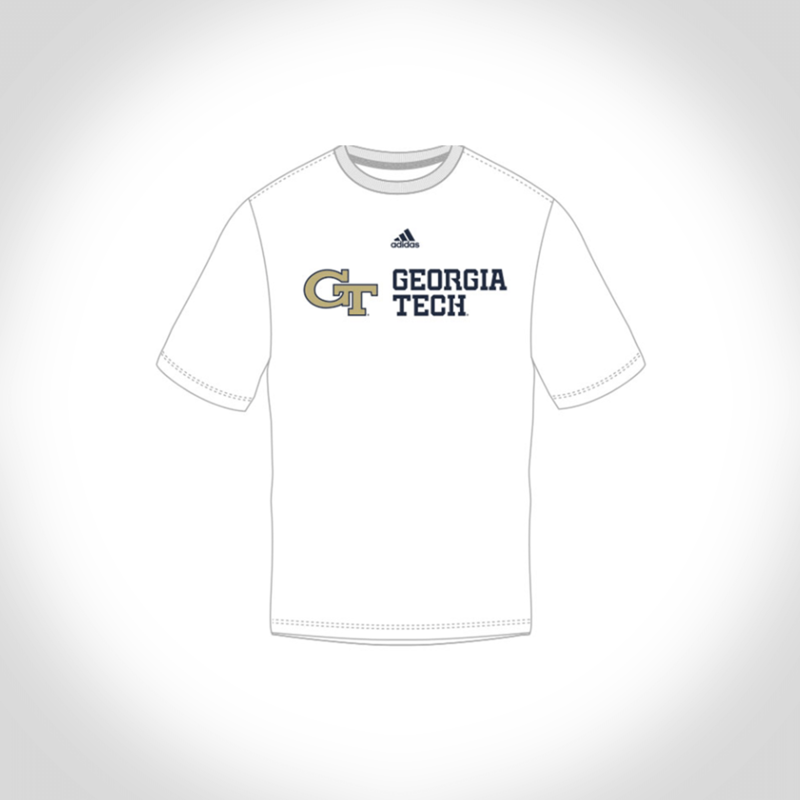 We’re letting fans choose the design for the shirt, which will be available exclusively to season ticket holders. Once the design is chosen, season-ticket holders will be provided with unique promo codes to order the shirt in their specific size (available in mid-late July): Vote below and let us know which design is your favorite! 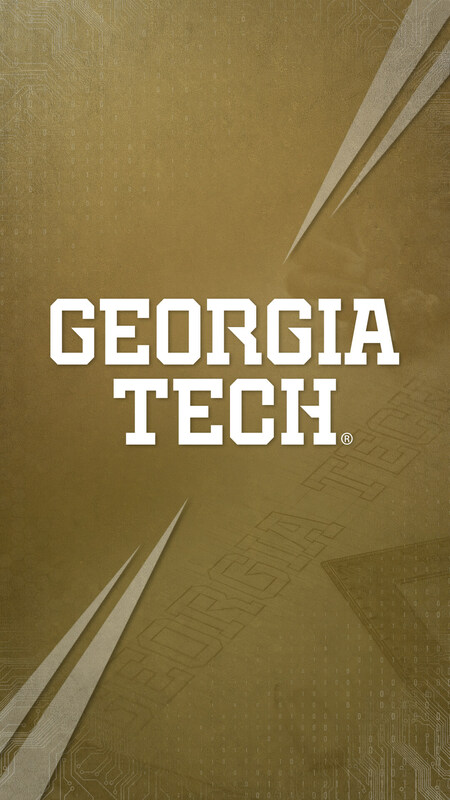 Proudly display the new Georgia Tech mark on your phone, tablet or desktop. 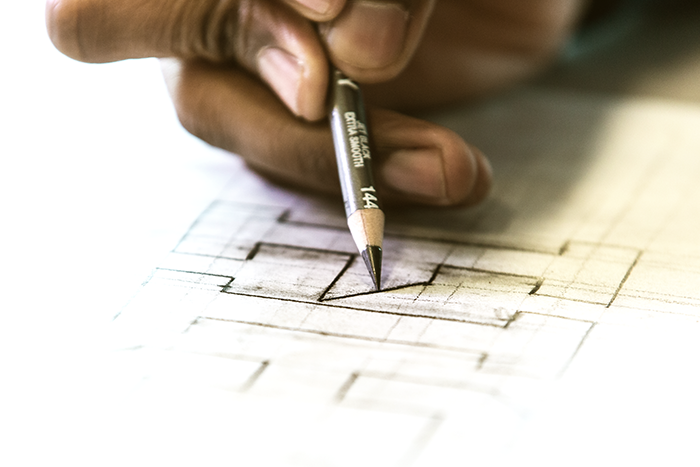 Click below to choose your favorite design and download today! 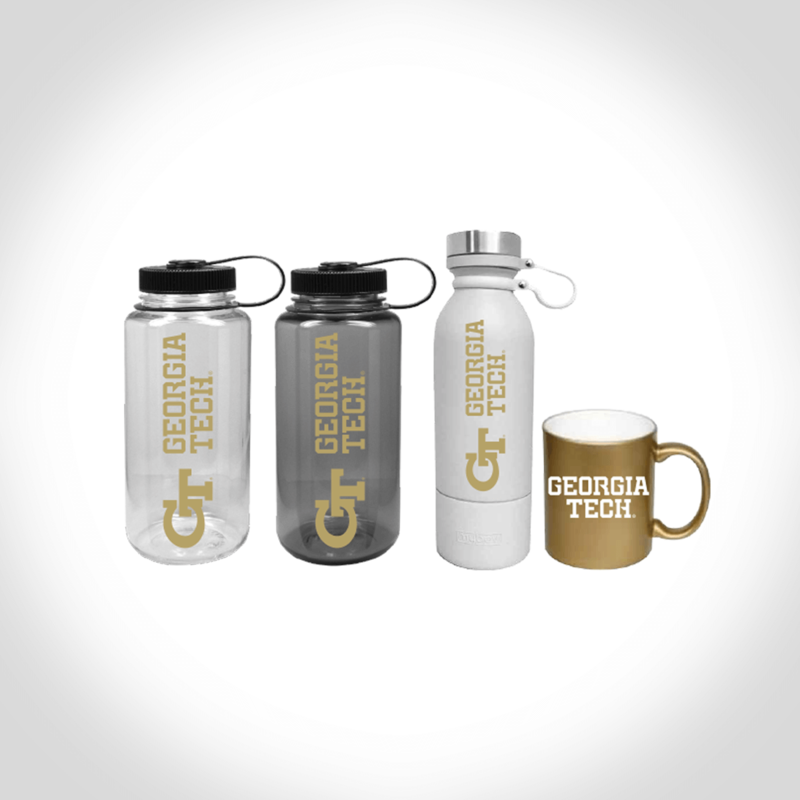 at the Georgia Tech Bookstore and Ramblin’ Wreck Online Store. 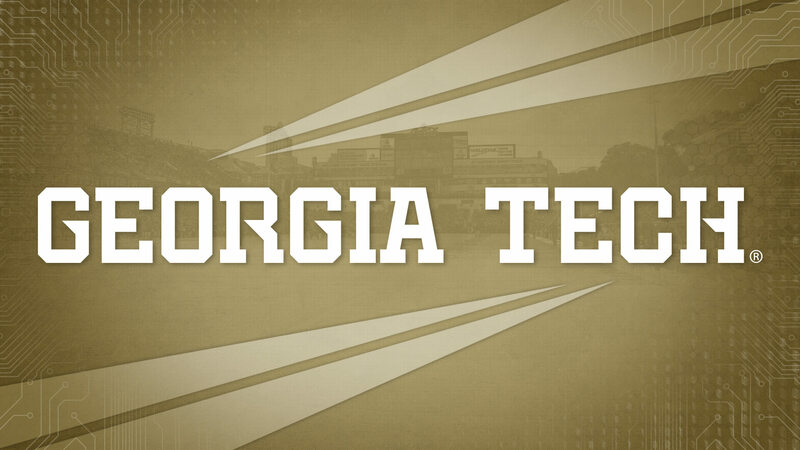 With our new apparel partner and sideline provider, exciting things are on the horizon. The partnership with adidas® officially begins July 1. 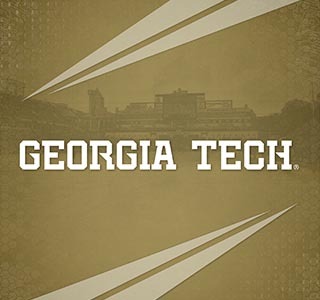 Fans will be able to purchase a wide-variety of Georgia Tech gear shortly after that time. More details, including uniform reveals and special events will come in late-Summer. With the introduction of Tech Gold, production of thread and materials have started and a limited supply of Tech Gold product is available.